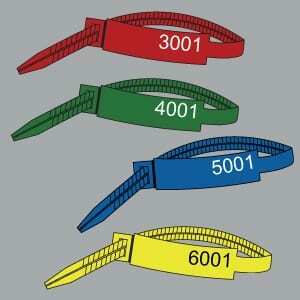 Numbered Tags are available in both 175mm and 300mm RigTags. 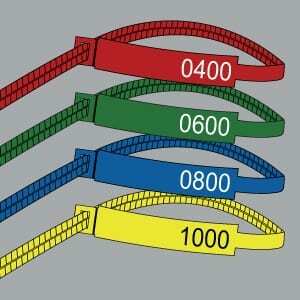 Our numbered tag range is printed with different sequentially numbering. The numbering sequence will be four numbers long, please note you won’t be able to choose your sequence in our pre-packs. However if you head to our custom tag section of the website you can design your own tag print.